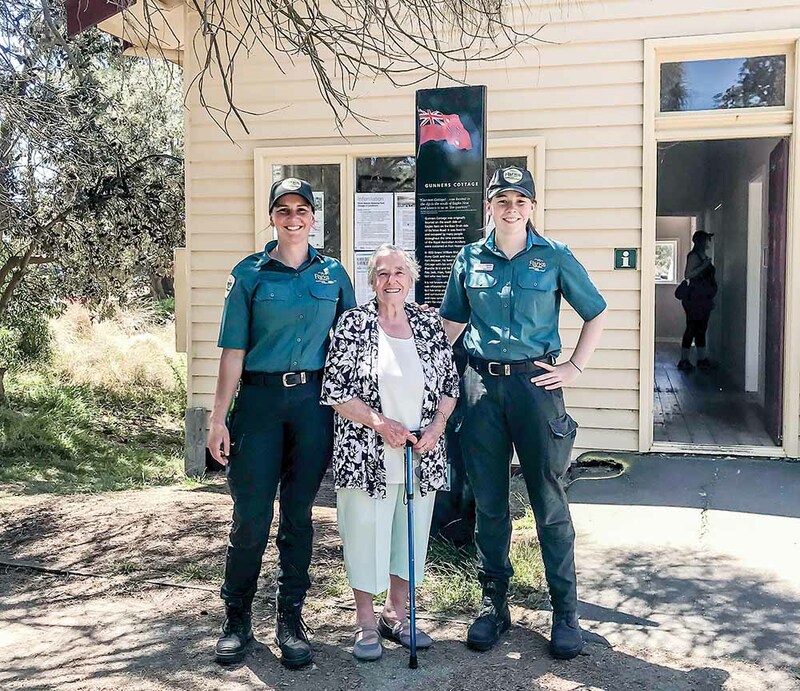 During the holidays, 85-year-old grandmother Joy Gray (nee Bird) and her family visited Point Nepean National Park, Portsea. Ms Gray told park rangers that she had some recollection of a personal history in the area, but did not know much more than that she had been born in Gunners Cottage. In 1933, Ms Gray’s father Ernest William Bird was the army cook for Fort Nepean. 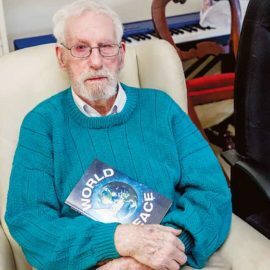 He lived in Gunners Cottage with his wife Victoria Blanche Bird and five children – Ray, Jack, Alan, Teddy and Joy. The family’s relationship to Point Nepean is now assured with references to the Bird family on a sign at the Gunners Cottage. The cottage is one of dozens of buildings that form a living history of the area. The building was relocated at some stage from its original position south of Eagles Nest where it formed part of the defence complex. The cottage is used as a “satellite information point” informing visitors how Point Nepean has been used as migration centre, an army base of operations and national park. Built in the 1870s, the cottage can be a starting point for walks or bicycle rides to the park’s forts and range area. Visitors can also catch the Point Nepean shuttle bus from near the cottage.